This trail has been a favorite trail for pilgrims and armies crossing into Ladakh. It divides some of the worlds most spectacular mountain ranges. This trek is also know as Lonvilad Gali. 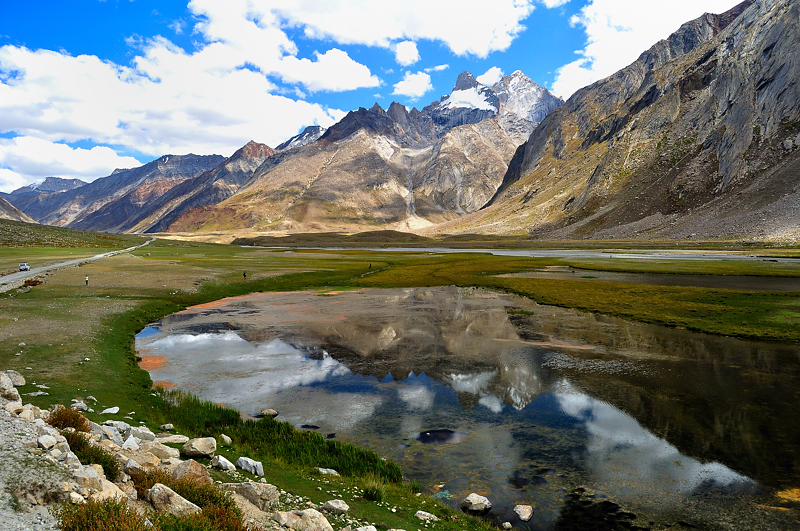 Its also serves as an entrance to Pensi La in Zanskar Region which is a desolate an arid land in Ladakh. In way we will also get a chance to examine beauties of Srinagar, Pehalgam and Sheshnag Lake which lies on the route to Amarnath Cave Pilgrimage. The lake has a breath-taking view and freezes during the winters. According to Legend and local belief that mythical Sheshnag (King of Snakes) still lives in this lake. Trekkers will also visit Kanital Valley which is nothing short of a paradise. The trek ends at Kargil district of Ladakh at Suru Valley which is nestled in the foothills of the Great Himalayas in the awe inspiring Ladakh. The lower part of the valley being the most fertile parts of Ladakh since every year two crops are harvested thanks to the adequate water supply from melting snow glaciers. Next day morning we will head for Pahalgam, a pristine valley covered with pine forests, beautiful green meadows and river streams. 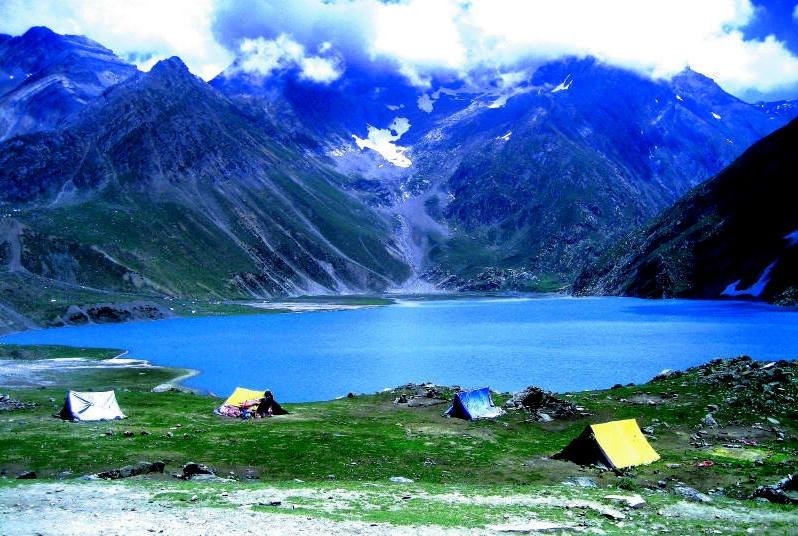 Pahalgam is a popular tourist destination and a perfect destination for trekking. We will stop over for sightseeing at Betab Valley and click pictures and then head for Chandanwari which is a starting point for our trek as well as for famous Amarnath Pilgrimage through Pahalgam route. During the period of Yatra the whole area is studded like a jewel with hundreds of Eateries and Tent Accomodations for Pilgrims. We will camp here tonight. In the morning we will begin our trek to Sheshnag, which is a magical confluence of tribuataries to form a beautiful lake at 3700 meters above sea level. The hike will be difficult and weather on top will be cold. But the beautiful views of the lake will compensate our efforts. Next day we will start early as today will be a steep and tiring climb to Gul Gali (4400 meters), a mountain pass with spectacular views of Himalayan Range to be enjoyed from the top of the pass. From here its a steep descent again to the shepherd encampment of Permandal (3610 meters). We camp or stay at a guest house here tonight. Today will be a long and tiring day as we head towards the tiring journey to Kanital. Will begin by heading towards Warvan Valley and cross the picturesque trail along waterfalls and birch trees towards the vast meadows of Humpet (3400 meters). It's a beautiful camping site however if time allows we will proceed after some rest towards Kanital (3700 meters) which is a beautiful shepherd encampment. We camp here tonight. Today we will take an early start as we will be crossing the mountain pass of Boktol, towering at 4900 meters. So it's imperative to start around 5 am for the journey. We start from the left of the valley and start ascending a terminal moraine, once at the top we will need to cross a glacier and carefully negotiate some crevasses to reach the top of Boktol Pass. 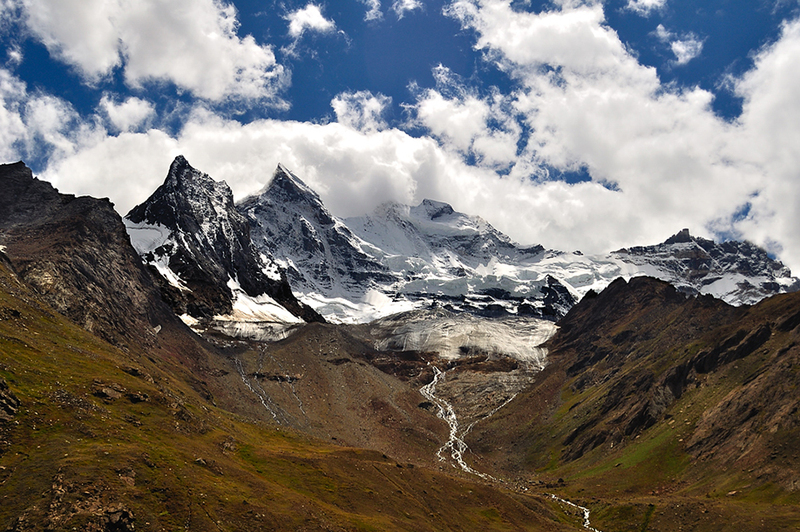 Enjoy the splendid views from Boktol and enjoy the sheer magnificience of Himalayas. After some rest we will begin our long descent to Donara which is a beautiful meadow situated at 3800 meters above sea level. We will camp here tonight and rest as today was sure a long and thrilling day. Today will be an easy day as we will reach our destination Panikhar in the heartlands of Suru Valley in a few hours. The Valley is named after the beautiful Suru River, which we will definitely come across as we go sight seeing along it. From here our jeeps will be waiting for you to transport you to hotels in Kargil. The tour can be also extended to enjoy further stay and sight seeing in destinations of Ladakh, for ex. Lamayuru, Khardungla, Padam or Pangong Lake etc.